As the post title should make clear, this is a discussion of space opera. It is true, according to commenters who know more than I do, that the theoretical door to FTL is not quite welded shut, but we are far outside the scope of the Plausible Midfuture, even for the most generous interpretation of that phrase. But the heroes of high fantasy do not fight their dragons with cardboard swords. Likewise, even in operatic settings we are entitled to the appearance of plausibility. The question of interstellar empires arose in comments on a recent post about artificial intelligence (go to the second page of comments, around #215 or 220). The thread drift concerned the use of bluntly named killbots, but my immediate concern here is not with the technology of interstellar war but its 'geopolitics' (astropolitics?). It is a quite basic - but rather unappreciated - fact of power politics in space that, except for independent colonies located on the same planet, there are no contiguous borders. In fact, we can get a bit narrower than that: independent colonies on the same continent or landmass. Yes, borders can be drawn through an ocean, or - given a suitably holographic map - even through interstellar space, but you cannot march across them. At least, you cannot march across them unless you have stargates of the sort that can be localized onto a planet. Unless your FTL technology permits interstellar streetcars, it likewise precludes interstellar armies. To be sure this does not preclude interstellar marines, or espatiers. But marines are fundamentally a naval arm, and espatiers are fundamentally an arm of space forces, whatever name you choose for the latter. And this is significant ... why, exactly? It is significant because your all conquering space legions can conquer no one - at least no one off-planet - unless they are transported by an all conquering space fleet. At which point the legions' own task is more or less the mopping up operation. Which is significant in turn because, historically, maritime powers have been a considerably different beast than land-based powers, more or less as sailors have differed from soldiers. At least in their internal politics they have generally been more liberal, and in their external affairs more concerned with control of trade than with the direct rule of territory. Victoria, for example, became Empress of India only after indirect rule through the East India Company went pear shaped. These political differences seem to reflect broader cultural differences, reflected even in epic poetry: The Iliad is a soldier's epic, the Odyssey a sailor's epic. In my old Tough Guide to the Known Galaxy I made this an argument for the likely predominance of trade federations in classic FTL settings, and I think that argument still essentially holds. 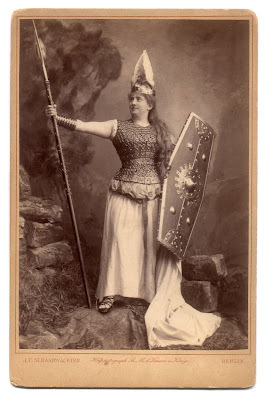 The image of Brunhilde comes from a website, Soldiers of the Queen, which deals mainly with the Victorian British army, but also includes an opera page. Will the Industrial Revolution end not with tranformation but a truce? This is a question I've considered here before, noting that the true 'accelerando' of the Industrial Revolution peaked about a century ago, and that technologies in general alternate between rapid transformations and much longer periods of maturity and incremental progress. This subject was lately taken up by Tyler Cowen at his blog Marginal Revolution, and in expanded e-pamphlet form, and as a quick google will show, he has stirred up a hornet's nest of discussion. One reason Cowen has a 'big' blog while this is a 'small' one is that he came up with a snappy title for the phenomenon he discusses, The Great Stagnation. In a nutshell, argues Cowen, we have already picked much of the low-hanging fruit of technical progress, making what remains harder to come by and thus more expensive. As I noted last fall, the speed of human travel increased in a rather Moore's Law fashion from about 1830 until 1960. In the 50 years since then it has stalled; our jet planes travel at the same speed as first generation jetliners. More broadly, while we do have the Internet, we don't have household robots, or aircars, or all those other things we were supposed to have in The Future. Nor do we have substitutes or counterparts for most of them. Broadly speaking, except for the mobile phones, a middle class neighborhood of 2011 is broadly similar to one of 1973, the year Cowen picked as reference point (just before the first 'oil shock' and some other trends that made the later 1970s a rough patch). Some important provisos. A lot more people have the industrial age basics. In 1973, as I am old enough to remember, famine was still an endemic threat to much of the world's population. Now it endangers only the poorest and most marginalized people: a dreadful exception, not a norm. At least half a billion people in China and India alone have, broadly speaking, joined the global middle class in the last decade or so, and probably a similar number in other countries. This is a stupendous increase in human material well-being. But it has to do with the spread of existing technologies, and the institutions that support them. It is an extension of the achieved, not of the possible. Of course there is the Internet. 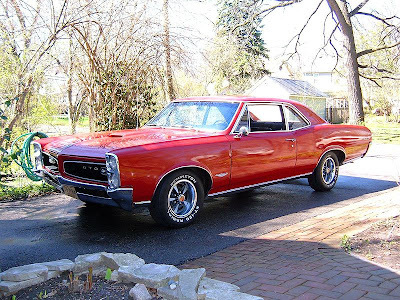 For sheer coolness it is awesome, and of course it has made this blog possible. But is it really as economically transformative as, say, motor transportation was? In particular, the Internet economy is curiously limited. It has created nothing like the vast pool of fairly well-paying jobs that the auto industry did. It has created a few spectacular fortunes, a few thousand or tens of thousands of impressively well-paying careers, an (unpaid) opportunity for me and the commenters to hold forth to an audience, and allowed millions to either read this blog or - vastly more likely - watch pets and their people do silly things. Turning from technology and economics to the underlying fundamentals of science, the picture is rather similar. We still don't have a Grand Unified Theory; our physics remains, broadly speaking, a mashup of relativity and quantum mechanics, as it was for most of the past century. Our cutting edge not infrequently cuts right through into metaphysics, offering conceptual possibilities such as bubble universes that we cannot test even in theory. 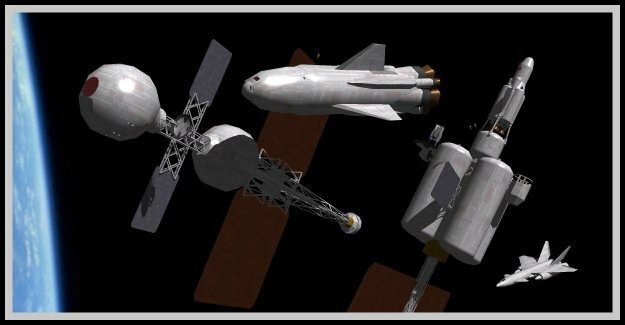 Space speculation and space SF show much the same trajectory. In 1861 neither one existed. By 1911 they both existed, and Tsiolkovsky had already outlined the principles of multistage, liquid fuel rockets. In 1961 Yuri Gagarin orbited the Earth, and the original rocketpunk era of Realistic [TM] space speculation was already being overtaken by events. In 2011 we are still very much within that same framework; alternative techs remain nearly pure speculation. Inventions are very unlikely to cease, but 'big' ones might well become less common. Presumably there is some point at which we could know, in broad outline, how the universe really works, leaving nothing truly fundamental to discover. A recent comment thread considered this question, not without some contention. I am not suggesting anything so sweeping - only that a punctuated equilibrium may be giving way to a new equilibrium. We may have worked our way through most of the broad outlines of science-as-we-know-it, and its major technical implications. In much the same way, the technological revolution c. 1400-1500 that gave rise to the full-rigged sailing ship gave way to a maturity of more gradual refinement. A seaman of 1400, time-shifted to 1500, would have found ships nearly unrecognizable. A seaman of 1700, shifted to 1800, would have found many improvements but few real surprises. If so, this has some important social implications. What happens if economic growth rates in this century, at any rate in the most industrialized countries, are markedly lower than they were in the last one? Dividing up the economic pie becomes a much more fraught issue if the pie is no longer getting larger, or only at a glacial rate. 'Creative destruction' will become the exception, not the rule. The image is a vintage 'muscle car,' a 1966 Pontiac GTO. In due course this blog will return to simple, innocent speculation about zapping or otherwise blowing up spaceships. But for now, I can't resist following through on my recent promise (well down the comment thread) to play with fire. As a minor example, in the linked thread I made a reference to faith. Yet my impression is that classical paganism cared not at all about faith - it insisted on ritual, carried out as prescribed, without caring whether you 'believed in' it or not. I gather that there is also a bit of a standing joke in archeology that if you find an artifact, especially a carefully made one, with no obvious purpose, you put it down as a 'cult object.' And what will future archeologists make of that big statue of Athena Polias in New York harbor? For purposes of this discussion I won't even try to define religion - anyone who thinks they can, click the comments button and give it a shot. But as a matter of fairness I'll show my cards. 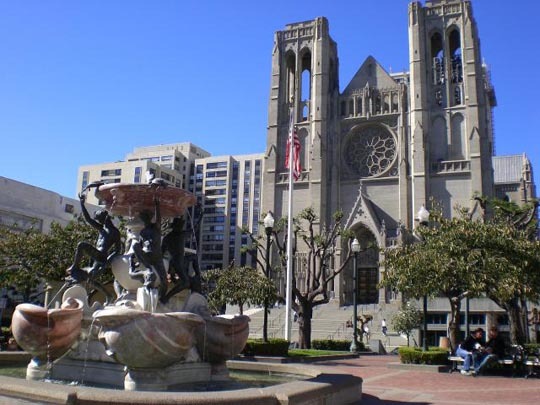 I was raised in the Episcopal Church, the 'Murrican member of the Anglican Communion. This fact has currently produced a dispute that gives a whole new (old?) meaning to 'primate house behavior,' which I won't belabor here. I had no beef with it, but in college I was converted to agnosticism by a fundamentalist friend, who probably remains mercifully ignorant of how his evangelizing misfired. Rigorist atheists would probably describe agnosticism as 'squish' atheism, and this was mostly true of mine, though I have subsequently shifted to a purer agnosticism - from There is no God! (But I hesitate to assert it dogmatically.) to Is there a God? God only knows! From a somewhat different perspective, though, I would be tempted to argue that most self proclaimed atheists (and mere agnostics) are actually followers of a religion I shall call Puritanical Pantheism. Conventional pantheism is the belief that divinity, 'numinosity,' God-ness infuses the physical universe, AKA Nature. Pantheism of the ordinary sort is associated with the environmental movement, especially its more spiritual-minded wing, as well as with Westerners who are attracted to Eastern mysticisms. Stereotypically it connotes hippie dippie types who wear sandals in places where hiking shoes would be more convenient. It is a rather 'Catholic' sort of pantheism, not (obviously!) in any doctrinal sense, but in its baroque richness of imagery and vast calendar of saints. Its present day believers are (again, stereotypically) not terribly fond of industrial civilization or, of most interest here, space travel, even though environmentalism as we now know it is very much a product of the space age. Distaste goes both ways, unsurprisingly, since heretics are always worse than mere infidels. Puritanical Pantheism is an altogether starker faith than the garden variety sort. It offers no solace that our souls will somehow be joined with the butterflies, and no sacred groves where we might contemplate such things. It offers nothing at all to its believers save sheer awe. Sinners in the hands of an angry God? Try sinners and non-sinners alike in the hands of an utterly indifferent Universe. For just that reason, puritanical pantheism will probably not sweep all other faiths before it into the dustbin of history. If I were to guess, and I will, both the death and the revival of more traditional forms of religion is probably overstated. The world's major religions have not gotten that way without offering powerful world views to their believers - or even their not-quite-believers. My own world view remains shaped in important ways by the Book of Common Prayer. That said, I would not be surprised if a syncretic muddle is common in the midfuture, because we are far more aware of the range of possible religion than people in the agrarian age generally were. Short of a catastrophic collapse this is unlikely to change. This by no means implies that everyone will believe in a syncretic muddle; major faiths will likely retain their full vitality among many millions of believers. Fundamentalism? It is, I suspect, a characteristically transitional phenomenon. Traditional believers of an earlier era were not 'fundamentalist;' traditional teachings were simply taken for granted for lack of alternatives. God (or Thatever) may have created the universe ten minutes ago, complete with fossil record, etc., just as we write stories with a backstory extending back beyond Page 1. In my personal opinion - worth what you paid - accepting this is a far more robust position than trying to take pliers to the material evidence to bend it to fit doctrinal positions. That is to say, 'creation science' is neither scientific nor very creative. But religion is not limited by fundamentalism, and the methods of science have their own constraints. Broadly speaking, science deals with the orderliness of nature. What is not orderly - human history comes to mind, not to mention the human experience as recorded in literature - requires different methods of study to produce useful results. And if the universe were created, like a sim except for real, it is questionable whether any purely internal analysis could ever show this, or refute it if not so. The image is of Grace Cathedral in San Francisco. A reminder to commenters and prospective commenters from Captain Obvious: This is, shall we say, a potentially contentious subject for a blog post. Rocketpunk Manifesto has, so far, been amazingly devoid of flame wars, and I ask all who enter the comment thread to help keep it that way.